Bollywood Superstar Salman Khan walked out of Jodhpur Central Jail after the court granted him bail in the 1998 black buck poaching case. He has been asked to furnish two bonds of Rs 25,000 each. His return was celebrated with a lot of fervour all across the nation as 'Bhai' fans rejoiced his temporary freedom. Witness to the unparalleled fandom, Salman choked back tears as he thanked his fans and supporters for standing by him during the tough time. The 'Bajrangi Bhaijaan' tweeted, “Tears of gratitude. To all my loved ones who are with me and never lost hope. Thank you for being there with all the love and support. God Bless.” Not only the masses, A-list celebrities vied for Salman during his and after his trial. Following the conviction, the actor was housed in VIP barrack number 2, as inmate no. 106, right next to self-styled godman Asaram Bapu. 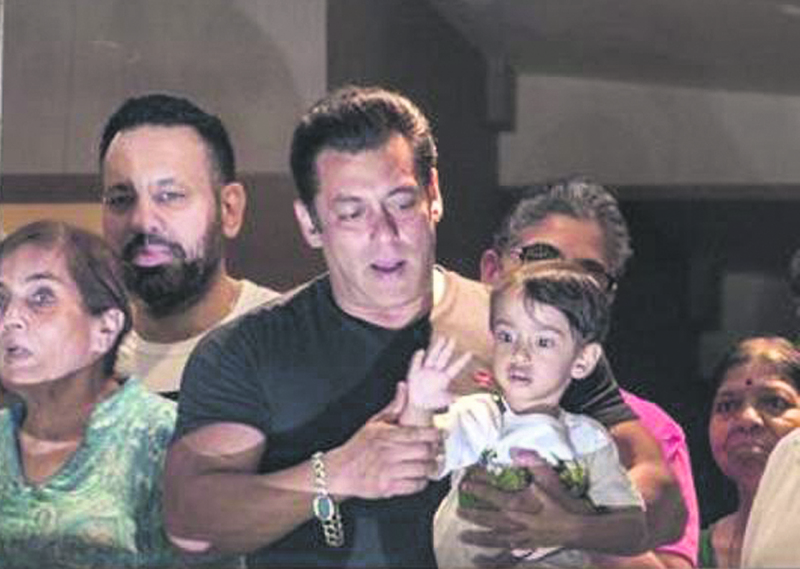 Jail Superintendent Vikram Singh informed that Salman was treated like a normal prisoner, and was given a wooden bed, a blanket, and a cooler in his cell. Asaram was reported to be unhappy with the treatment meted out to the actor in the jail. Prison staff reportedly were starstruck upon his arrival, and flocked to him, lining up for autographs and selfies. Asaram has claimed that Salman has promised him to quit smoking and will reduce his daily coffee intake. Following the bail, Khan returned to Mumbai, only to find himself surrounded by thousands of fans lined at the Mumbai airport. There was also a huge mass of public supporters waiting for him outside his Bandra home- Galaxy Apartment. Loud screams of joy went up with frantic waving and clicking pictures on phones as Khan and his family waved at the crowd outside the sea-facing luxury apartment. Calls of 'Salman Khan Zindabad' came as proof of just how strong fandom can be and just how rich the actor is in terms of love.